Raised Toilet Seat - Blow molded locking raised toilet seat without arms has front clamping mechanism ensures secure easy locking onto toilet. Height 7", width 21", depth 17". Weight capacity of 300lbs. 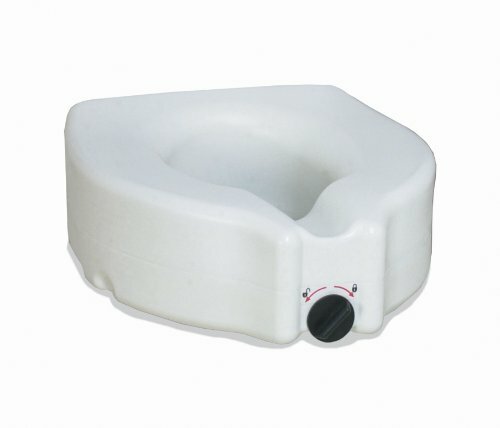 Raised Toilet Seat - Blow molded locking raised toilet seat with arms has front clamping mechanism ensures secure easy locking onto toilet. Arm height 6". Arm width 20". Weight capacity of 300lbs.